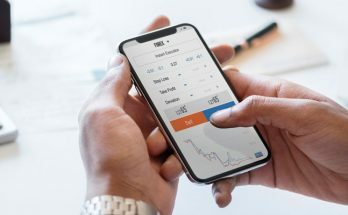 When it comes to the process of new product development, the stakes are high to achieve the target goals and introduce to the market a product that can satisfy both consumers and investors. In order to innovate new products, the management process should consider a high level of iteration and validation between production phases, which means that before jumping from stage to another, a middle gate needs to be applied in order to to ensure that the production is moving in the targeted direction. The Stage-Gate process, also known as the phase-gate process, tends to guide the new product development process through five main stages. Between stages, a gate is used to determine whether the team should move to the next stage or an iteration should be applied in the current stage before moving tot he next one. Customer focused: The new product development is a user-centered design process. The end consumer should be placed at the heart of all the stages through solving consumer problems of providing a value proposition. Heavy front-end homework before development begins: Managers should have a clear and deep understanding of the project at an early stage of the development, including understanding the market, the technology, and the business. Spiral development—loops with users throughout development: The product information may change during the production process. Therefore, the team should be able to listen to feedback and modify the product based on the state-of-the-art information. 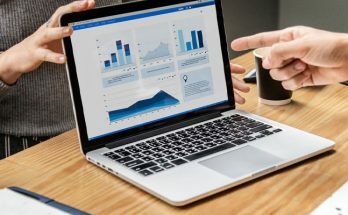 Metrics, accountable teams, profit/loss reports for continuous learning: Companies should be able to measure the product’s progress in order to evaluate the production success through the different stages. 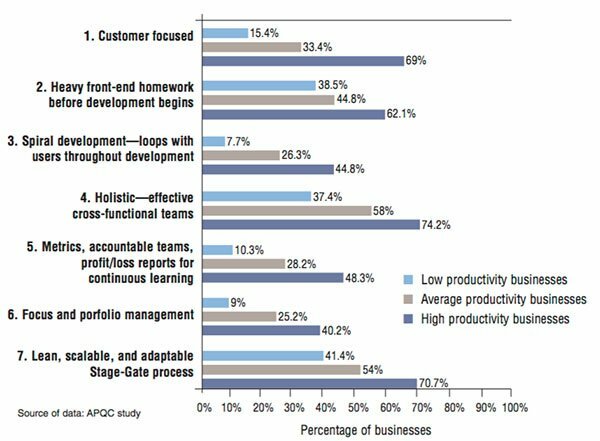 Focus and portfolio management: While there are many projects running inside a company, there should be a focus on the most effective product. A funnel approach should be adopted in order to eliminate the weak projects and focus only on the projects with high initiation for success. Lean, scalable, and adaptable Stage-Gate process: Companies should improve the new product development process to focus more on productivity and reduce time waste and paperwork. 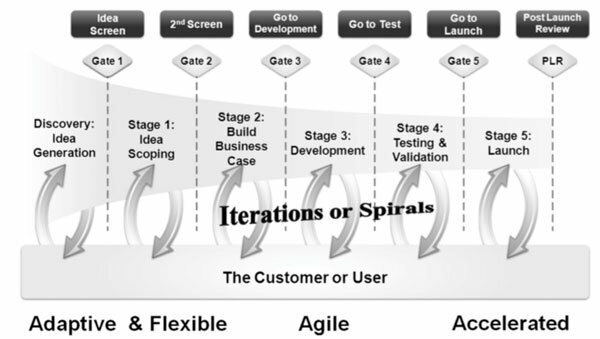 The Stage-Gate process guides product development through a number of stages from idea-to-launch. The standard process consists of five main stages, as follows. In this stage, companies tend to discover the opportunities and what they are capable of doing. This can be achieved by conducting marking research, investigating the market needs, and brainstorming ideas through methods such as mind maps and brainstorming. 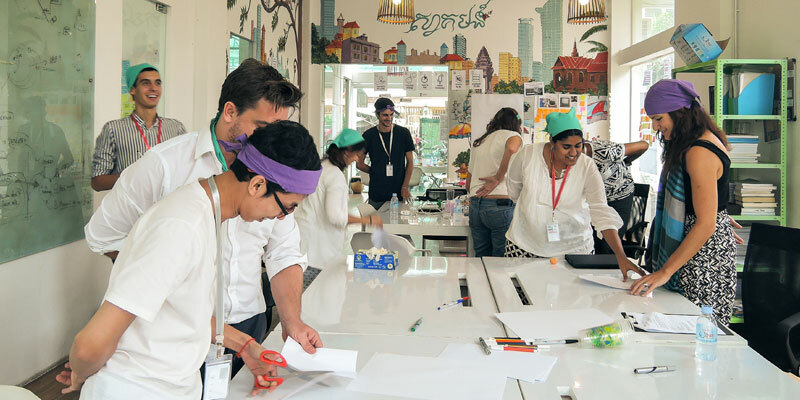 The team evaluates the product idea and its scope. In this stage, the team tries to identify whether the idea is viable and can present a market opportunity. This can be achieved through tools—such as the SWOT analysis—that help the team to evaluate the idea based on strengths, weaknesses, opportunities, and threats. Once the idea is formed and there is clear vision about the product, the team works to build a product definition and analysis, a business case, a project plan, and a feasibility review. In this stage, the team applies the plan formulated in the above stages and puts it into action by building a prototype for the product. The timeline is this stage is very important to achieve five factors: specific, measurable, actionable, realistic, and time-round (SMART). The timeline is always updated based on the production status. In this stage, the prototype is tested, and feedback is collected to improve the prototype. The testing includes team testing for problems and issues in the product. Then, it goes for the field test, which includes consumer testing for the product in a beta version and a marketing test to identify market feasibility for the product. Once the product passes all the stages, it moves directly to the launch stage, where the product is introduced to the market based on a marketing strategy. In this stage, the marketing team plays an essential role in creating the market need and increasing market exposure for the product. In the above standard model (figure 2), the gates were used to make decisions to move forward or to return to the previous stage to improve the product. This model has been modified to an updated version: the Next Generation Idea-to-Launch System, which aims to achieve the following three targets. Adaptive and Flexible: The new model incorporates a spiral iteration process where the consumer is involved in each stage. The consumer provides feedback through a number of tests in a build-test-revise iteration process. Agile: The updated Stage-Gate process incorporates elements from the Agile Development system adopted in the software industry. In this model, sprints and scrums-short time-boxed delivered can be demonstrated to the stockholders instead of documentations. Accelerated: The updated model focuses on accelerating the development process. The stages can overlap or be shortened based on the product information and needs (see figure 3). Figure 4, below, indicates how the new idea-to-launch system can be adapted to become more intensive, as the five stages described above can be reduced by merging between stages, which may shorten the production timeline. The Stage-Gate new product development process can help companies reduce risks when innovating new products, which improves the companies’ ability to compete in the market through innovation. The Stage-Gate process considers the iterative nature of the innovation process by adding gates between new product development stages. With the updated version of the model, NexGen Stage-Gate system, the process becomes more scalable, iterative, and engaging with the consumers through the spiral, which allows consumer feedback to be taken and considered in each stage. Also, the new NexGen Stage-Gate process can be modified to become shorter based on the product nature. The solid nature of the Stage-Gate process makes it a reliable tool for companies to achieve innovation. 1. Cooper, Robert G. “The seven principles of the latest Stage-Gate® method add up to a streamlined, new-product idea-to-launch process.” Stage-gate Inc. (2006). 2. Cooper, Robert G. “What’s Next? : After Stage-Gate.” Research-Technology Management 57, no. 1 (2014): 20-31. 3. Edgett Scott J. 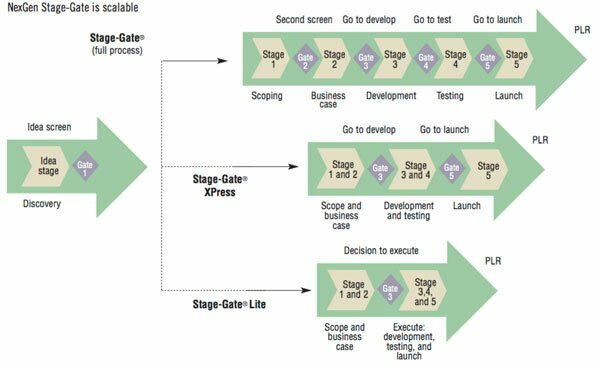 “Idea‐to‐Launch (Stage‐Gate®) Model: An Overview.” Stage-gate Inc. (2015).